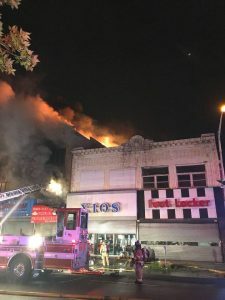 On Sunday, July 23rd at 11pm Hawthorne Fire Department Tower 2 was requested to respond for mutual aid into the City of Passaic to cover the Eastside Firehouse. The Tower Company stood by for 2 hours before being sent to the fire scene. 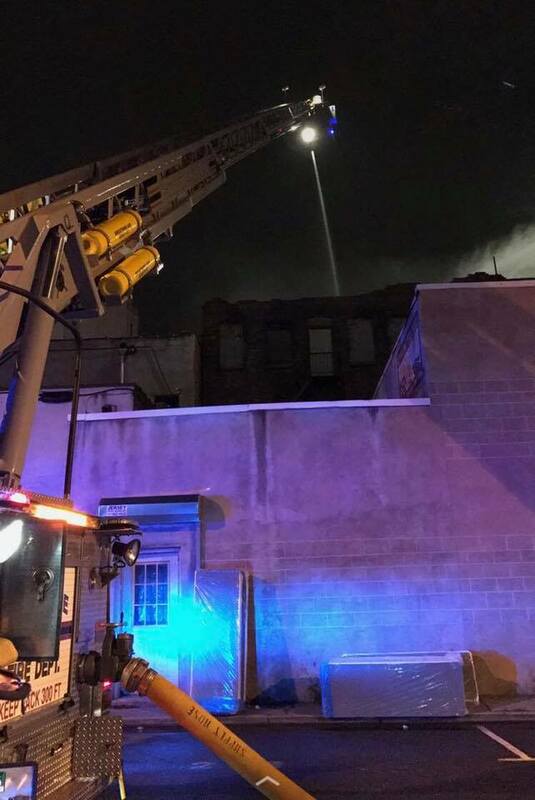 Once at the fire scene, Passaic FD requested Tower 2 set up the aerial and begin master stream operations. 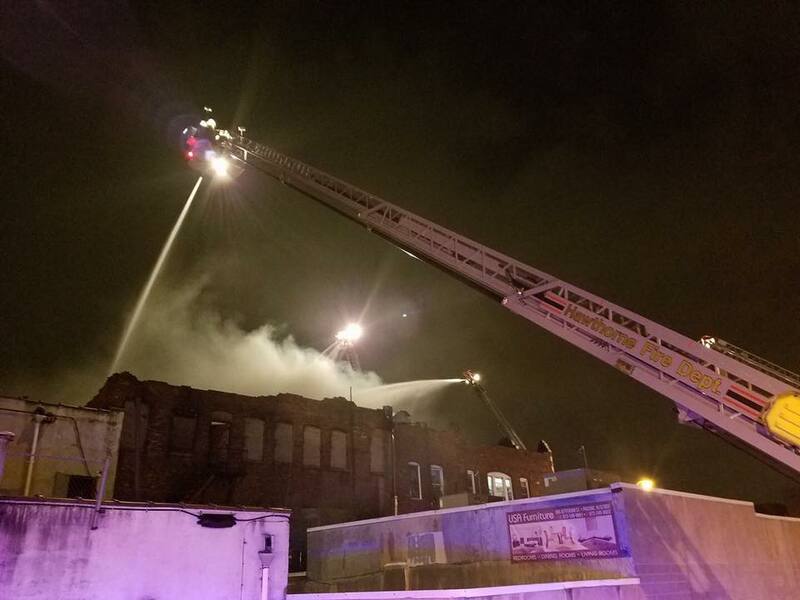 It took about five hours and 100 firefighters to get an overnight seven-alarm blaze under control early Monday in a three-story building in the city’s downtown. 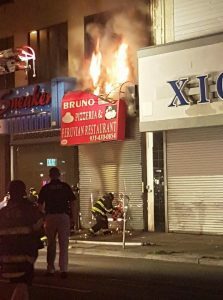 The fire was under control by about 3 a.m. Hawthorne members worked on scene until returning home around 3:30am.